First Choice Limousine is one of the most popular and prolific wedding limousine companies in Worcester, Massachusetts and Boston, Massachusetts offering the finest limousines including Wedding Hummer Limousines and Cadillac Escalade Wedding Limousines for an elegant entrance and departure from the wedding ceremony and wedding reception. First Choice has some of the largest limousine which can accomodate almost any wedding party with up to 26 passengers. First Choice Limousine prides themselves on providing the cheapest, most affordable wedding limousine packages in Worcester, Massachusetts (MA): Boston, Massachusetts (MA): Nashua, New Hampshire, Portsmouth NH, Leominster, Massachusetts, Fitchburg MA, Lowell MA, Cambridge MA, Somerville MA, Medford, Newton MA, Natick MA, Watertown MA, Melrose MA, Framingham MA, Waltham MA, Malden MA, Medford, Arlington, Everett MA, Billerica, Marlborough MA, Hopkinton MA, Clinton, Lancaster, Shrewsbury MA, Gardner MA, Grafton MA, Westborough MA, Holden, Southbridge MA, Northbridge MA, Webster MA, Auburn, Northborough, Clinton MA, Oxford, Uxbridge MA, Charlton MA, Spencer, Millbury, Dudley MA, Athol, Lunenburg MA, Winchendon, Leicester MA, Southborough, Sturbridge, Blackstone, Sutton MA, Douglas, Templeton Ma, Rutland, Sterling, West Boylston, Upton, Westminster, Harvard MA, Ashburnham, Hopedale Ma, Mendon, Barre, Warren, Bolton Ma, Paxton, North Brookfield MA, Hubbardston, Boylston, West Brookfield, Oakham, Petersham MA, New Braintree, Royalston, Woburn, Chelmsford MA, Newton Lower Falls, North Shore MA, South Shore MA, Lexington, Dracut, Tewksbury MA, Belmont, Reading MA, Burlington MA, Wilmington, Westford MA, Acton MA, Stoneham MA, Winchester MA, Hudson, Concord Ma, Sudbury, Ashland MA, North Reading, Holliston, Bedford, Wayland MA, Pepperell MA, Weston MA, Tyngsborough, Groton MA, Maynard MA, Townsend, Littleton, Ayer MA, Pinehurst, Shirley Ma, Stow MA, Lincoln MA, Cochituate, Boxborough, Carlisle Ma, Sherborn MA, Dunstable, Ashby and many other fine communties across the Great State of Massachusetts. First Choice Limousine has representatives standing by 24 Hours a Day to help plan your wedding limousine to make your special day one to remember forever. Call First Choice Limousine for a Free Price Quote for your Wedding Limousine Service in the Commonwealth of Massachusetts Now! Joey's Limousine is the #1 Limousine Company for Wedding Limo Services in Massachusetts. Our mission is to provide the highest quality limousines, atmosphere and personal touch to your wedding day. Our chauffeurs have many years of experience in luxury transportation and accomodation services coupled with a personal touch for your wedding day. Joey's Limousine has been providing the finest wedding limousine services in Massachusetts for over 70 years. 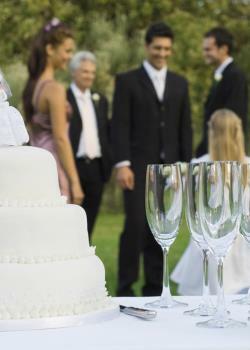 We offer the lowest cost services without sacrificing quality for one of the most important days of your life. Thousands of Brides have entrusted Joey's Limousine to make their wedding day stylish. Massachusetts' most trusted wedding limousine service offers the best packages! One of the oldest limousine companies in Massachusetts for wedding, engagements and other special events. Most affordable limousine service with the best wedding packages in Worcester County, Massachusetts. Voted Best Limousine Company for Weddings, Proms, Casino trips or Special Events on the Town! Joey's Limousine made our wedding day perfect with their service and attention-to-detail. We sincerely thank you! JOEY'S LIMOUSINE is centrally located in Worcester, Massachusetts making it possible to service the entire state of Massachusetts for wedding limousine rental services including bachelor/bachelorett party luxury transportation services. FIRST CHOICE FOR WEDDING LIMOS! Joey's Limousine Service is an award winning limousine service in Worcester County, Massachusetts offering a wide variety of wedding limousine packages to pamper the bride and groom and their wedding party on their special day. Call Joey's Limousine for details on services for bachelor/bachelorett parties, engagement parties, wedding dress rehearsals and for the cherished wedding day.